Duke Energy is investing up to $1 billion over the next five years in smart grid technologies. Building a smarter power grid is an essential part of our efforts to provide customers with affordable, reliable and increasingly clean energy. To help accomplish this goal, we plan to invest up to $1 billion over the next five years to continue modernizing our power delivery system. “Smart grid” refers to the digital modernization of energy delivery. By adding digital, two-way communication capabilities to our power lines, we can boost efficiency, help reduce demand, and improve reliability and customer service. Provide customers with additional information that may help them use energy more efficiently, save money and reduce their carbon footprint. Duke Energy received regulatory approval in late 2008 to implement smart grid technology in Ohio. In 2008 and 2009, we installed approximately 60,000 smart electric meters, 40,000 smart gas meters and 4,000 communication nodes in the state. When our five-year rollout in Ohio is complete, we’ll have approximately 700,000 smart electric and 450,000 smart gas meters in service. We are retooling our smart grid proposal in Indiana after the state utility regulatory commission rejected our initial plan in November 2009. In the Carolinas, we continue with pilot installations. 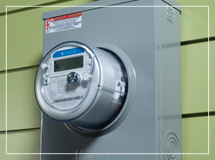 Our smart grid efforts began in the Midwest because our electric meters in the Carolinas were upgraded more recently. In 2009, the U.S. Department of Energy (DOE) awarded us $200 million under the American Recovery and Reinvestment Act to support our smart grid projects in the Midwest, and another $4 million toward our smart grid efforts in the Carolinas. We continue to work with the DOE on finalizing the terms of the grant contracts.